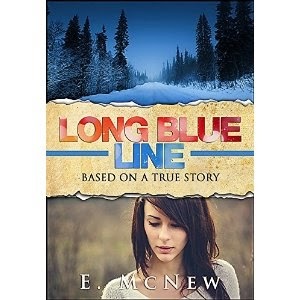 E. McNew's "Long Blue Line" chronicles the journey of one young woman as she navigates a planned teenage pregnancy. The author, Elizabeth, after being inspired by the media, decides she wanted to become a mother. Unprepared for the responsibility of being a parent, the pregnancy triggers a downward spiral involving conflict, drug abuse, and other struggles. This is a poignant story that'll tug on your heartstrings from start to finish. Be warned, this isn't a feel-good story. The writing is no-holds barred. It's a story that many can relate to. Fortunately, the darkness in the story was a learning experience for the author, and you can see plenty of potential for teaching moments throughout the story. I would recommend this book to anyone who wants to read a powerful story.